Before deciding to devote yourself to any activity, hobby or recreation, you have to be both mentally and physically prepared for it. Playing any kind of sport can be a very complex thing because it is not only enough to possess the good equipment, but it is also of vital importance that you are equipped with physical and mental stamina. Before deciding to direct all of your efforts to basketball playing, you have to recognize your talent for it and the will to be good at it. 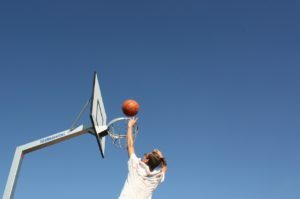 The first thing to do if you want to prevent injuries and be sure that you will be comfortable while you train is getting a high-quality pair of basketball shoes. When you are equipped with good sports apparel, you can start practicing dribbling and shooting. If you wish to be a good player you have to master all of the basketball elements starting with these two that are the base. 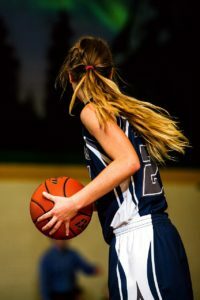 Playing basketball calls for a person who is able to be a solo player and at the same time to play in a team. It is advisable to practice on your own at first in order to get to know what you are good at and to correct the mistakes in playing. 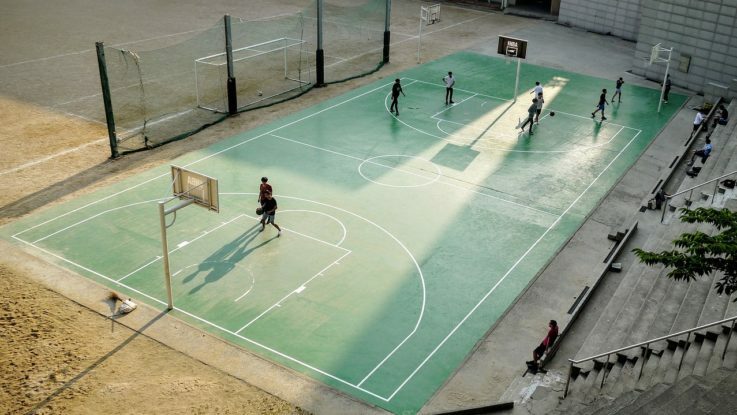 Then you can start playing with your friends in a nearby playground to improve team play. As it was aforementioned, basketball is both mentally and physically demanding sport. You have to be strong, persistent, in shape and also able to think two steps in advance. You have to plan your moves and to be able to predict the moves of your teammates and opponents. One more important thing is to be prepared for different outcomes of the game. Both winning or losing are the integral parts of sports, so it is nice to be happy about the victory, but you have to learn to accept the defeat, too. Finally, after perfecting your solo training and training with your friends, and having further plans to work for becoming a professional basketball player, it is necessary to hire a good coach to train with you every day. If you want to succeed you are expected to be dedicated and listen to the advice and suggestions of the coach.